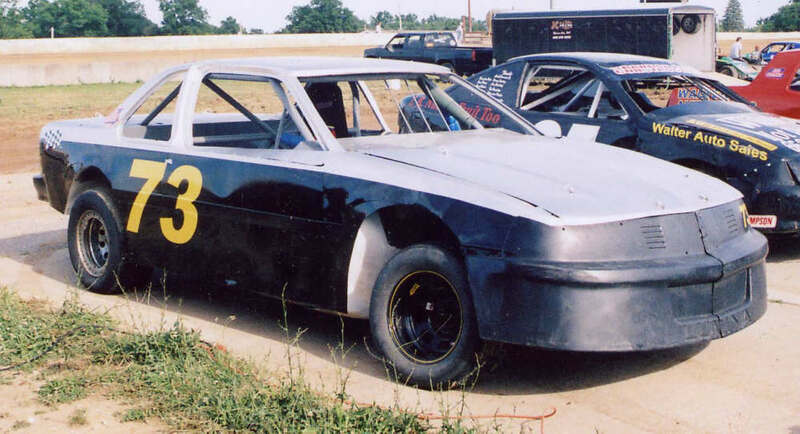 Has anyone put a Lumina body on a Imca Stock car. How much do you have to change if any?? Any help would be great. Is there one body that fits better than the other. I have a 03 Jet Phantom and a 03 Thunder chassis. The rear hoop has to lean in at the top. You might have to clearance the roof bracing along the top sides. I left the upper door hinge bolt hole to fasten the shell to the chassis. Leave the package tray to keep the rear fender width. I would recommend Performance bodies nose and tail rather than 5 star. 5 star was too wide. i got away with my rear hope at a perfect 90 angle but it was close. rear end is 4" shorter. 6 woulda been nicer. if you do your first one right it should be very easy to reskin a car for the next year. mine is a 90 cutlass. Would any of these car have a Lumina body, I have noticed that the Grand Prix's are shorter. I was hopeing the lumina was a better fit. i got away with my rear hope ........ mine is a 90 cutlass. I was going to try the venture, but chickened out.... lol. I had a gran prix, but was warned that clearances would be an issue, so I decided to go with the same 'ol, same 'ol. Good for you, is it a new chassis too then? Finally some pics of the Lumina built last year. You can see the patches on the red car to make it look okay. Once painted it hid that stuff. Got a 91 Regal if anyone is interested. "Live Like You Were Dyin"
I have seen 108" metric chassis re-skinned with the mid-80's Chevy Celebrity and Olds Cutlass Cierra bodies (the Olds is popular because you can get a polyethylene Cutlass nose and tail). They look pretty good. Most guys use the 4 door body, but instead of gutting the 4 doors out, instead they make a single sheetmetal door skin for each side and make a "b-pillar" relocated to further back so as to look like a 2 door body. I've posted a picture here of the front. The picture of the back is in the next post. Here is the back of the Cutlass Cierra body on a 108" metric chassis. FYI they are 7" wide wheels. Did you make them smaller in inches or megabytes?